Two of the most recent cards I've made lately have been for my niece Boo. The first was because she was a big brake girl when she had her tonsils taken out, the second for her third (where has the time gone) birthday. 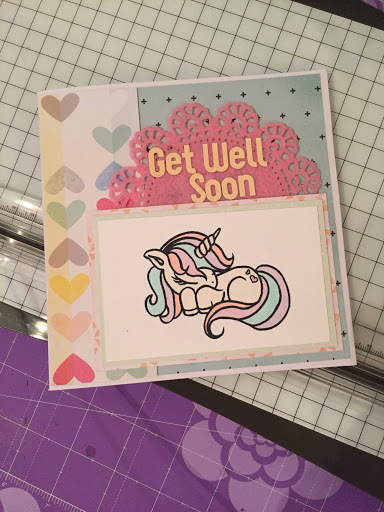 For her get well card I used one of my favourite stamp sets from Love Cynthia who I found on Instagram. How cute is the unicorn?? I coloured it with promarkers which I always find therapeutic. 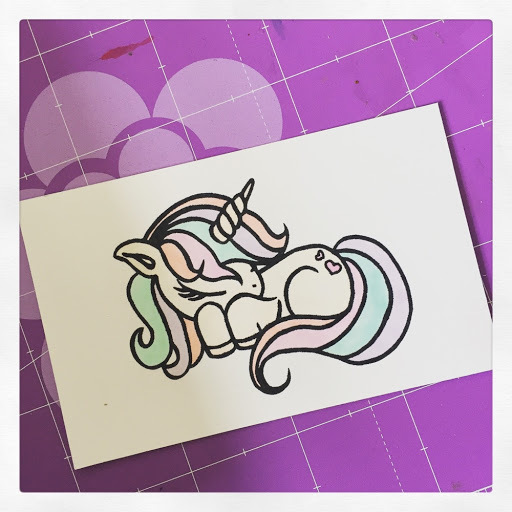 I decided to go for a soft pastel colour theme As much as I love this stamp set I always struggle with what colour to use on the unicorn. This time I went for a creamy colour but I need to think of a way colour her white without just leaving the card plain, maybe a Wink of Stella pen or something? I then chose some papers from Dear Lizzy to compliment the image and voila, finished. For Boo's birthday card I looked through my stash and found some old die cuts from Fancy Pants, I forget the name of the collection now I think it was True Friends or something like that. I chose a selection of scraps from my scraps box, including some gorgeous Stampin Up gold heart vellum, and made this. Have to say I'm rather chuffed with this card. 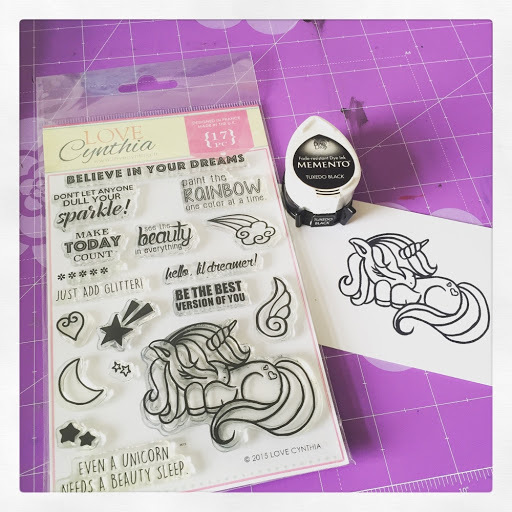 I think because of the combination of the die cuts and the vellum clouds. 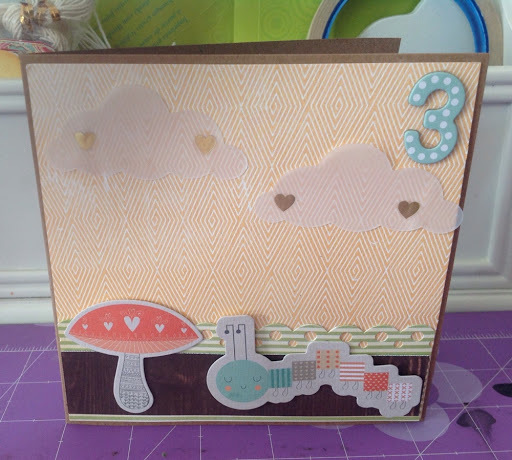 Those clouds are so cute, I think they'll definetly be something I repeat again on a card or layout.